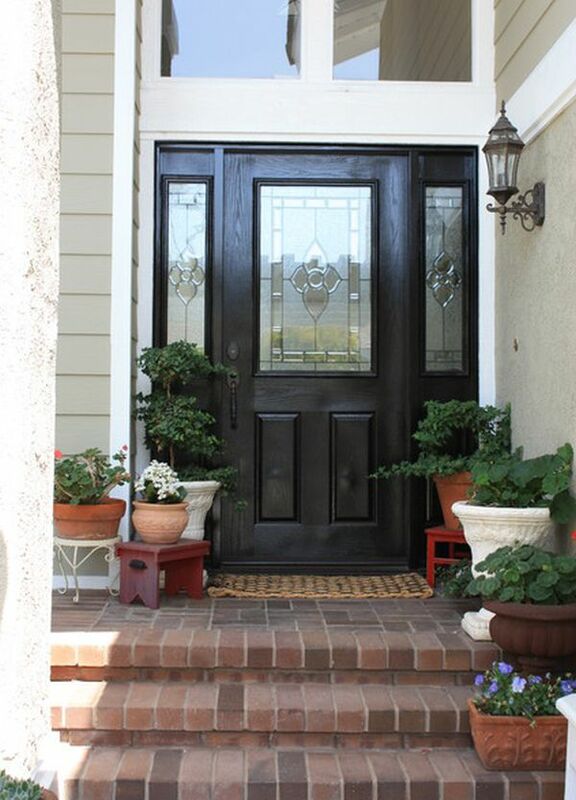 When you visit someone, whether it’s for the first time or not, you get to create an impression about their home as soon as you reach the front door and you knock on the door. 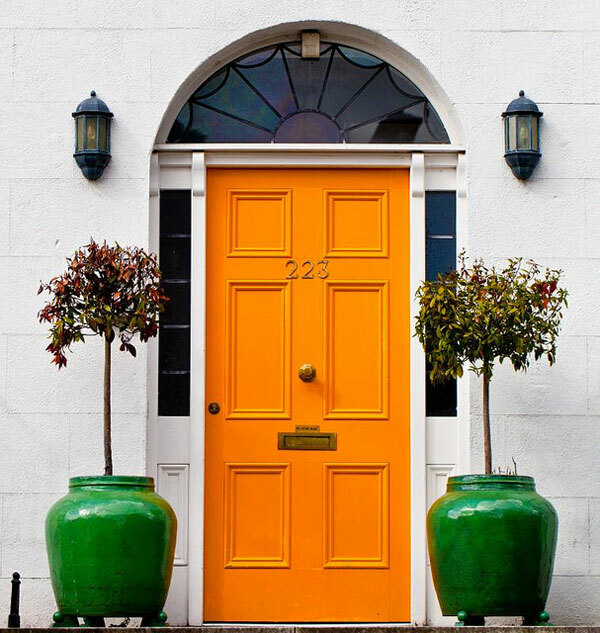 It’s an impression you create based on what you see around you. 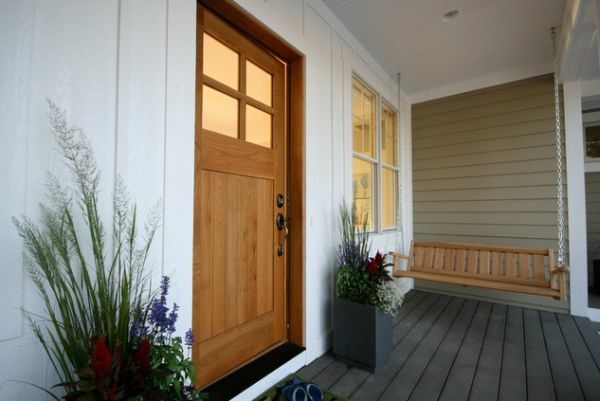 It’s why it’s important to have a beautiful and inviting floor door entrance. 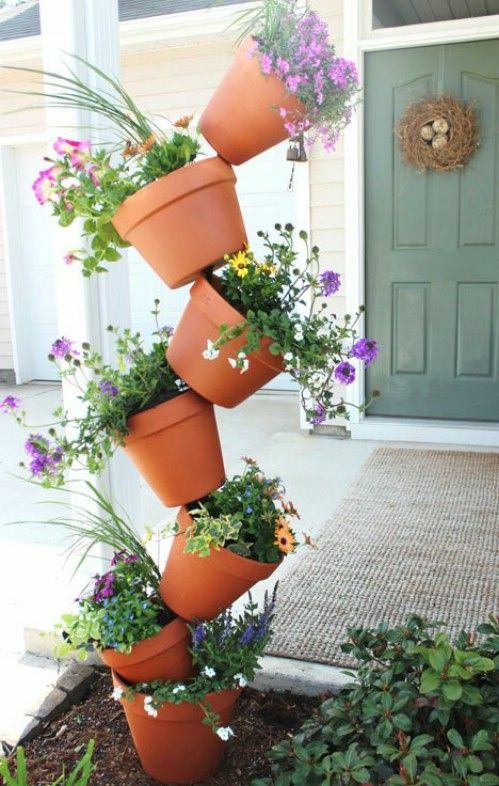 For that, there are numerous things you can do. 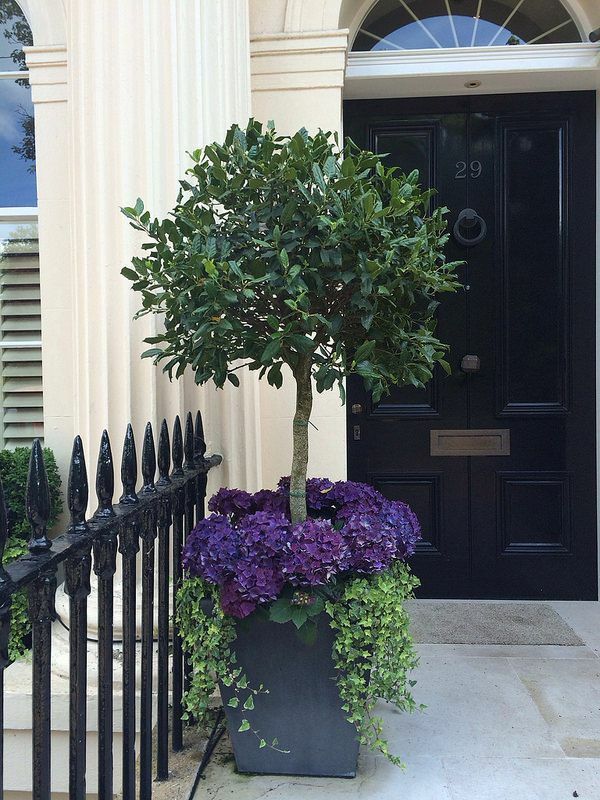 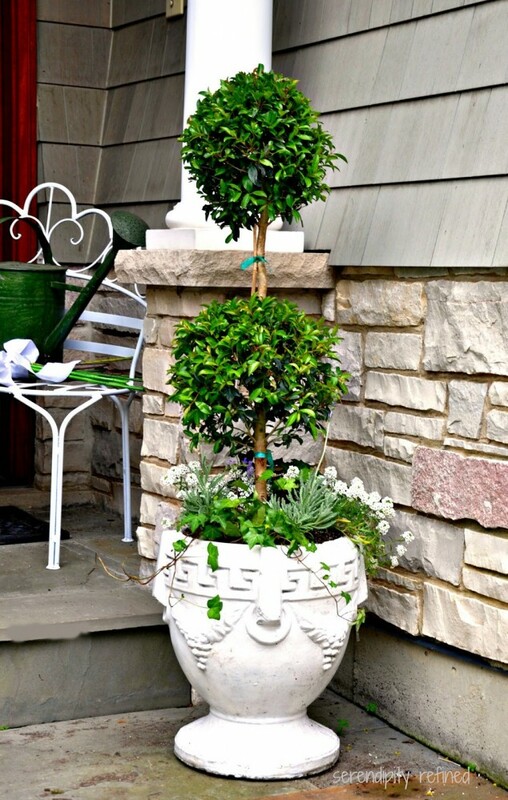 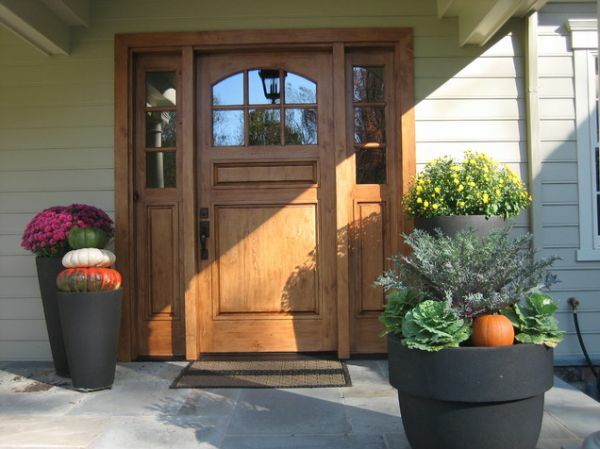 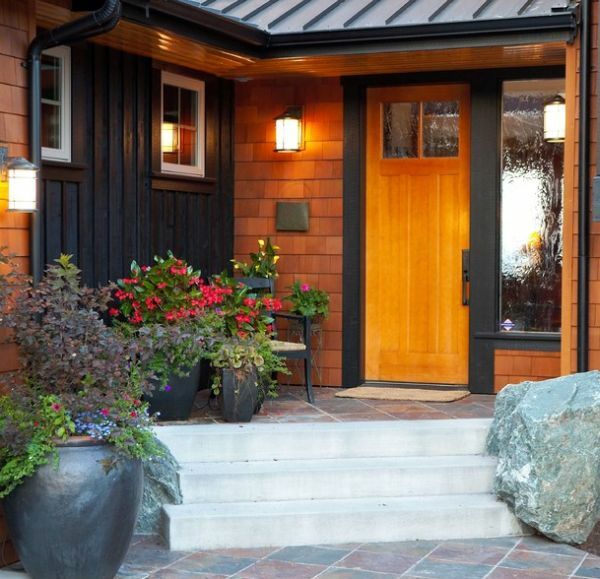 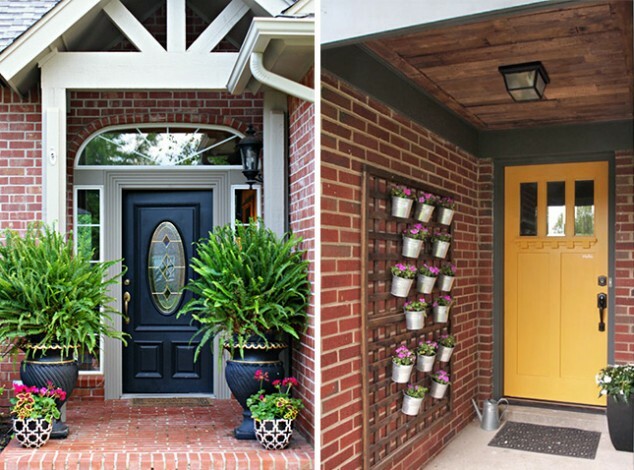 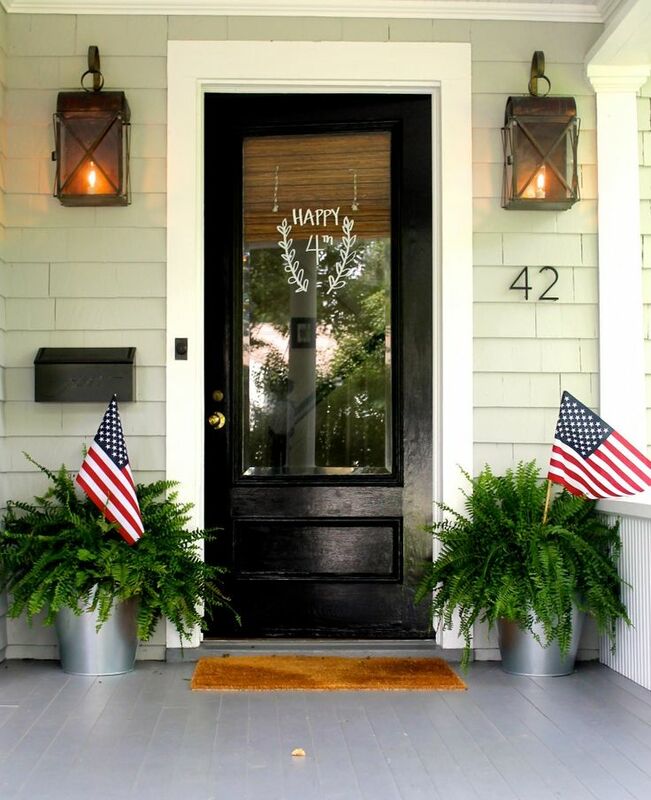 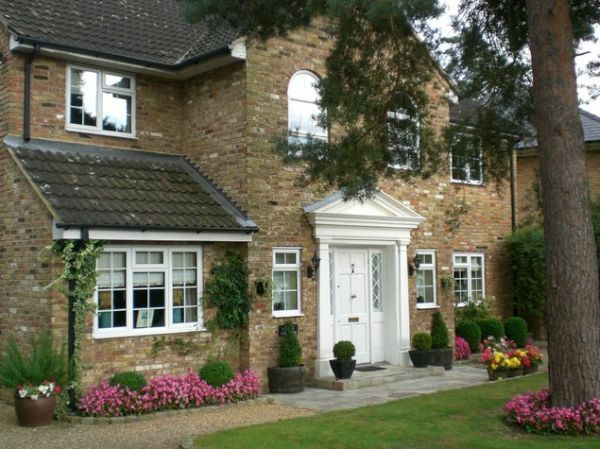 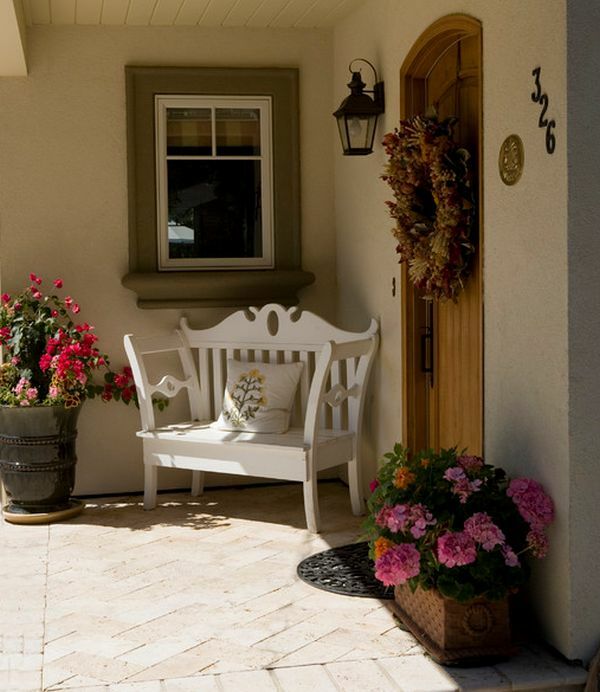 Something very simple and also very beautiful you can do for your front door entrance is to have flower pots. 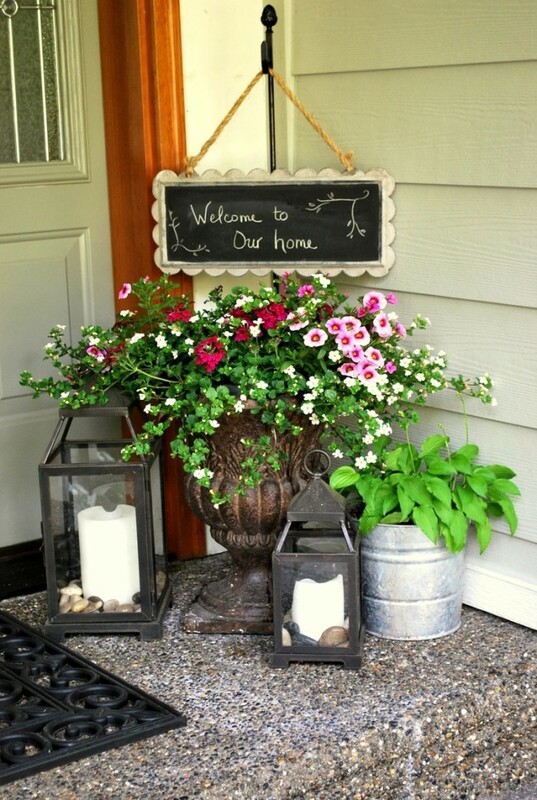 Display them on either side of the door or in its vicinity. 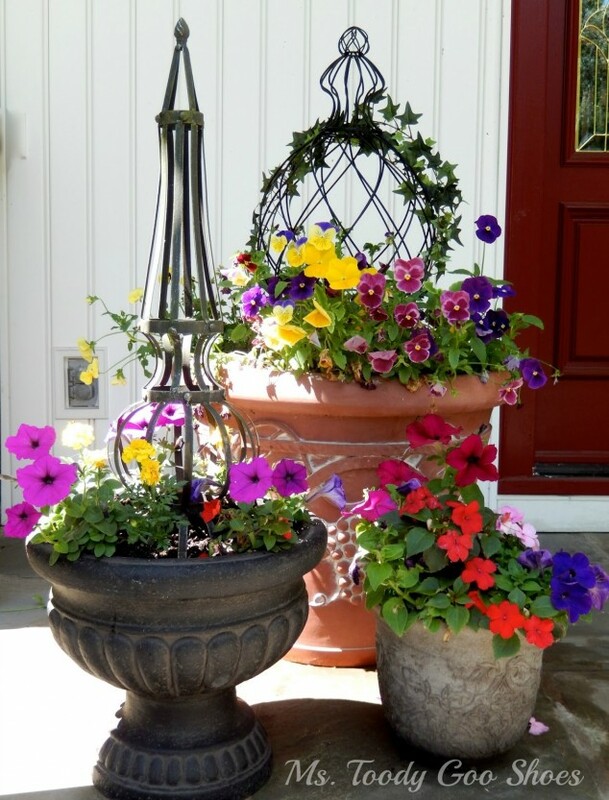 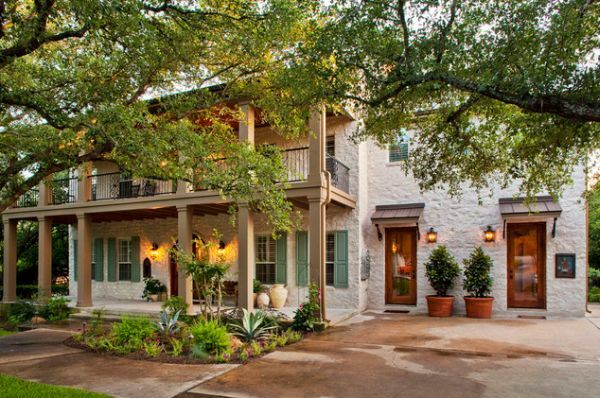 If you have a covered porch then it’s even better because you get to beautifully display numerous flower pots and they will be protected from rain and harsh weather conditions. 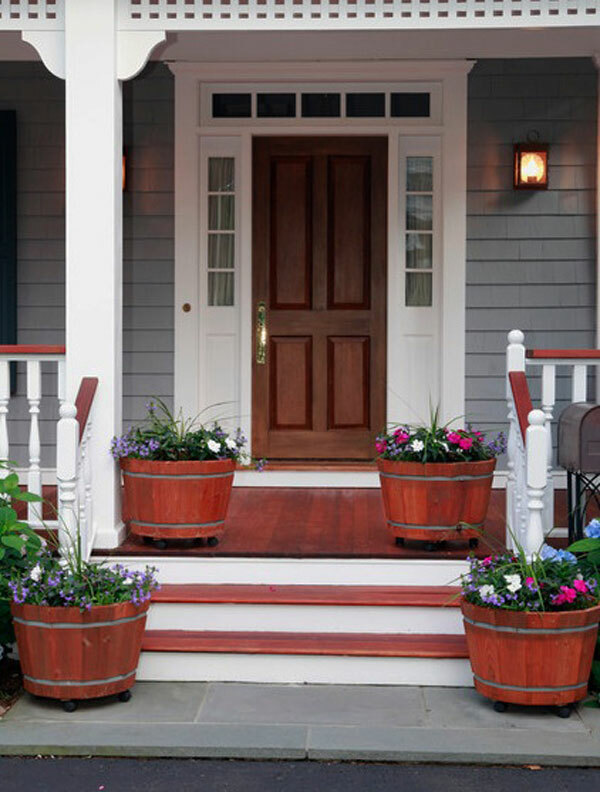 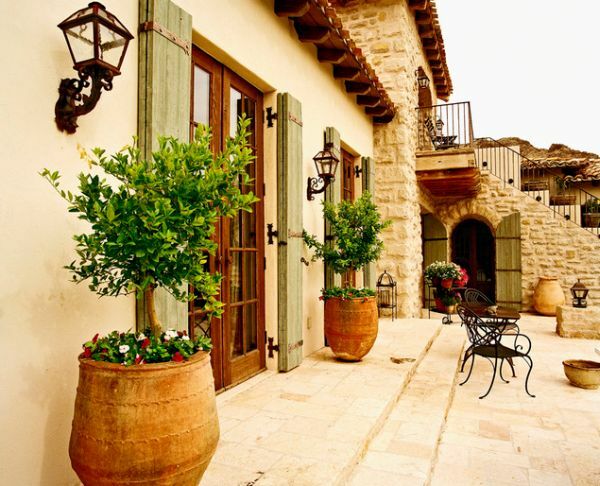 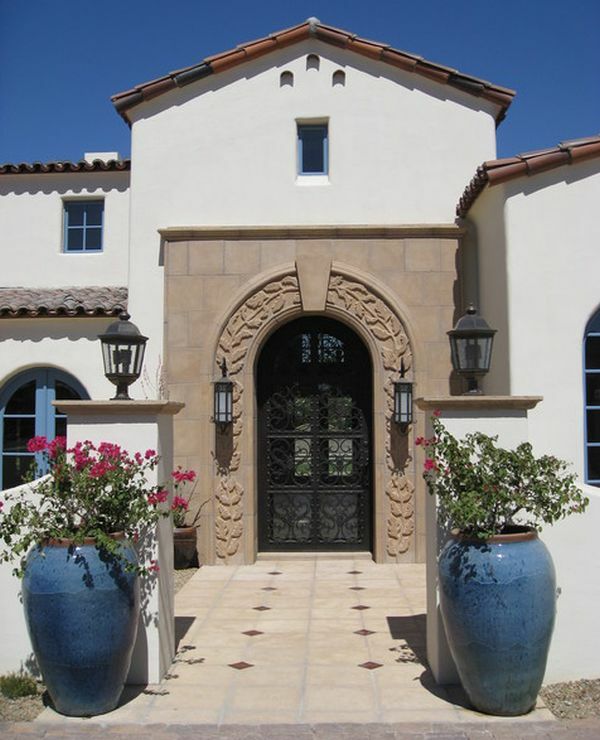 You can use two identical flower pots for a symmetrical look and place them one on each side of the door. 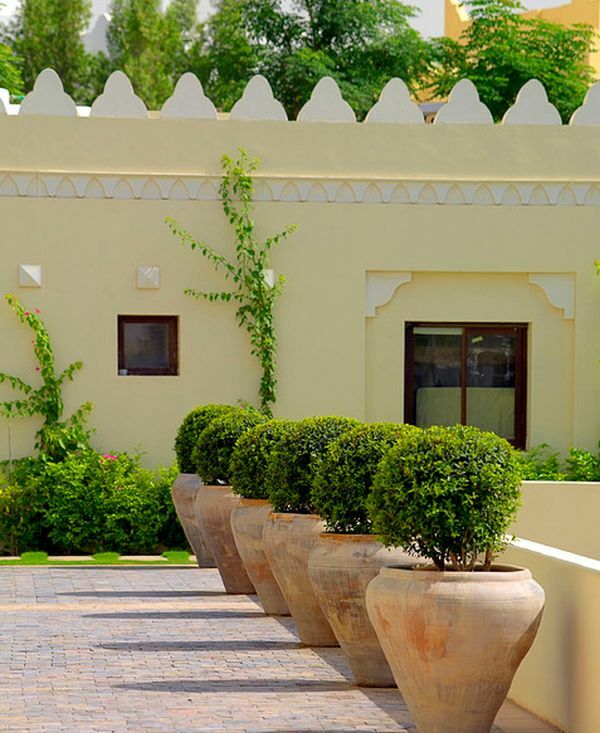 You can also play with sizes and have pots with the same shape and design but different dimensions arranged in the same area. 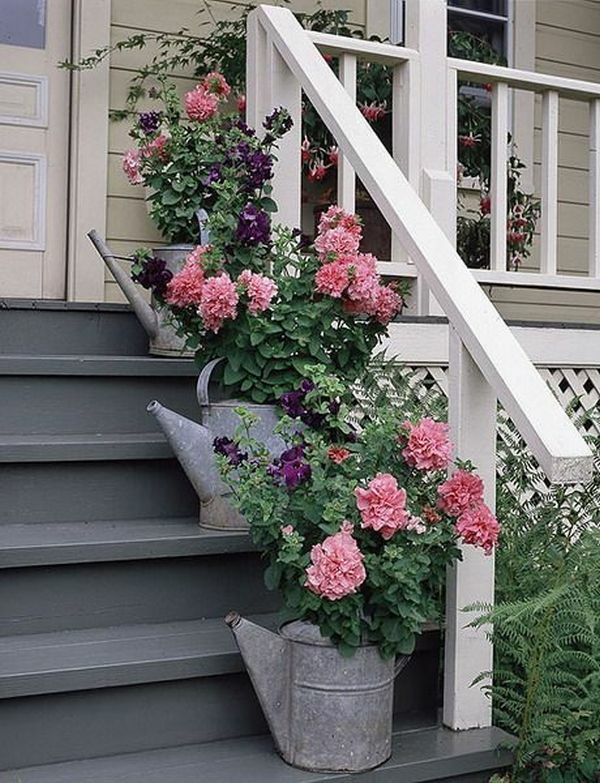 You can also have wall-mounted flower pots at the entrance if you’d rather use the floor space for something else. 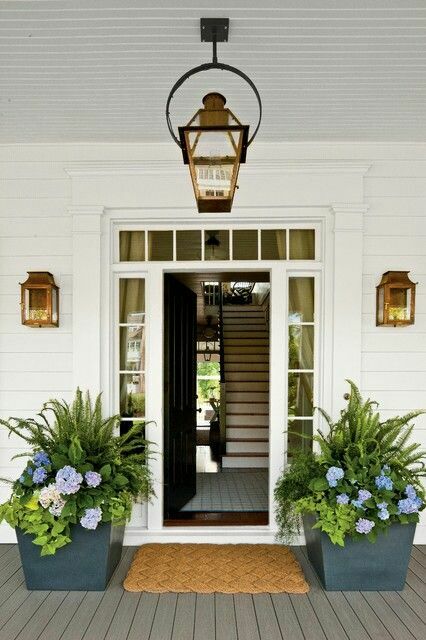 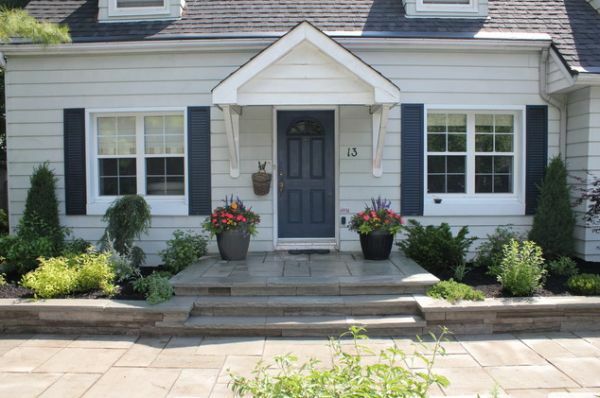 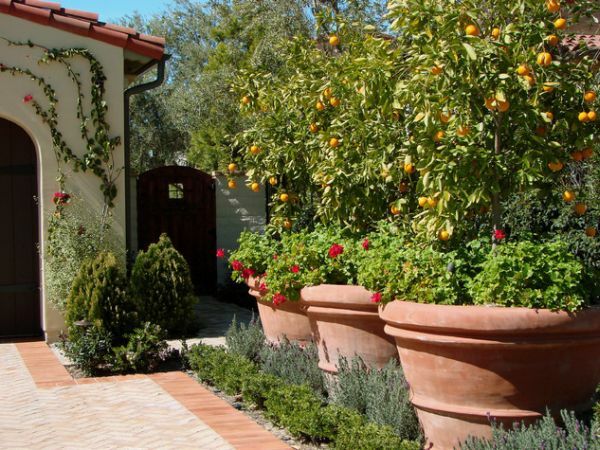 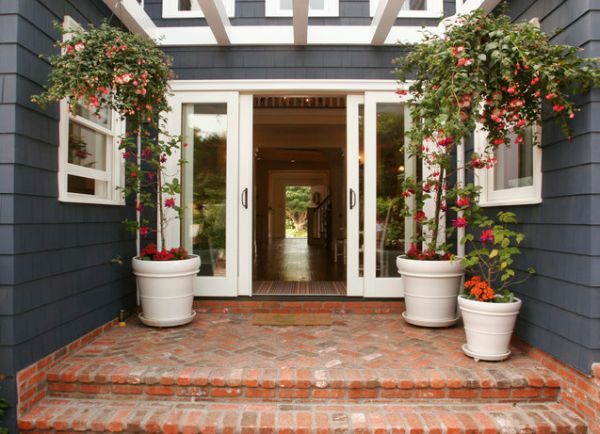 Oversized flower pots are also great, especially if you have a path leading to your front door. 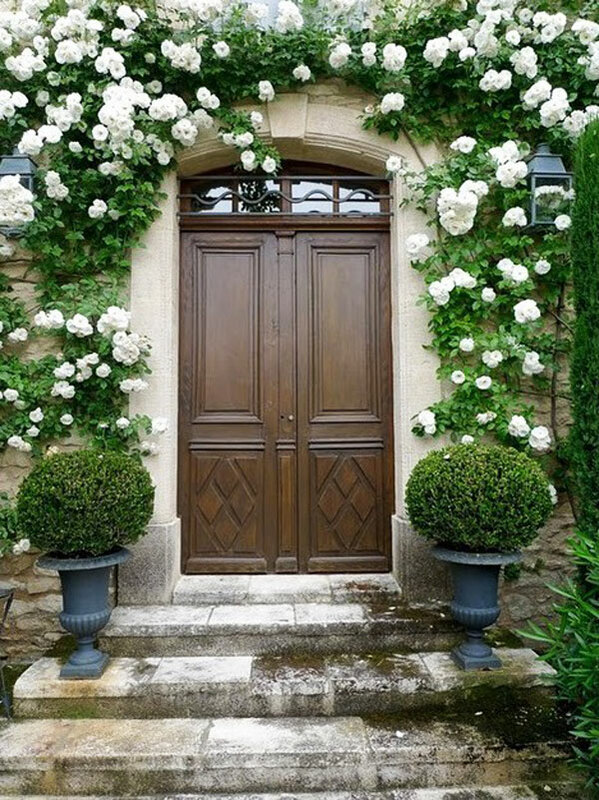 You can use them on the side, like a shield that guides you to the entrance. 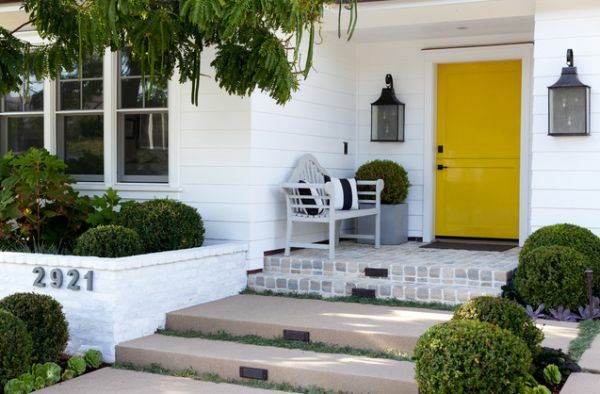 Of course, there are numerous other designs, ideas and combinations you can try so find the one that better suits you and your home. 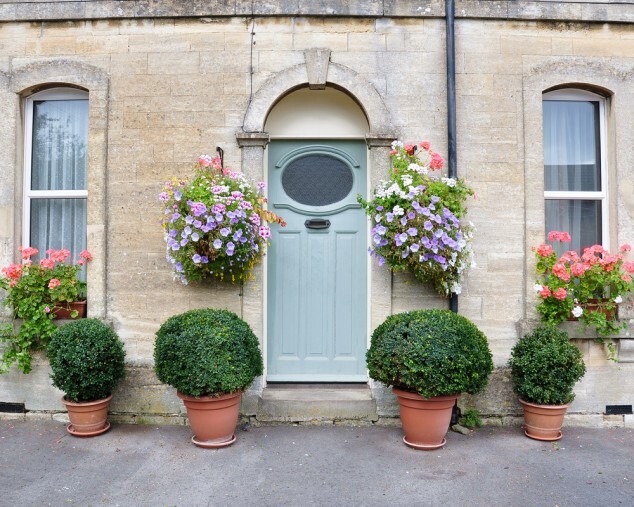 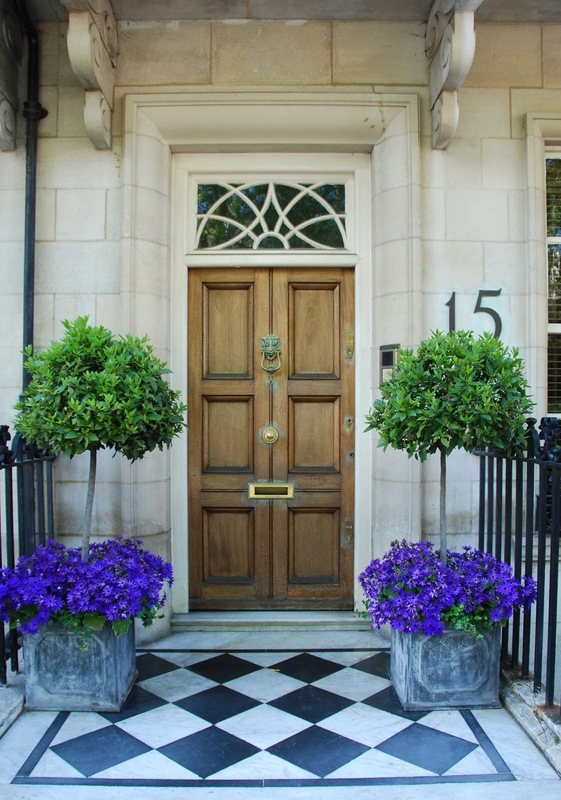 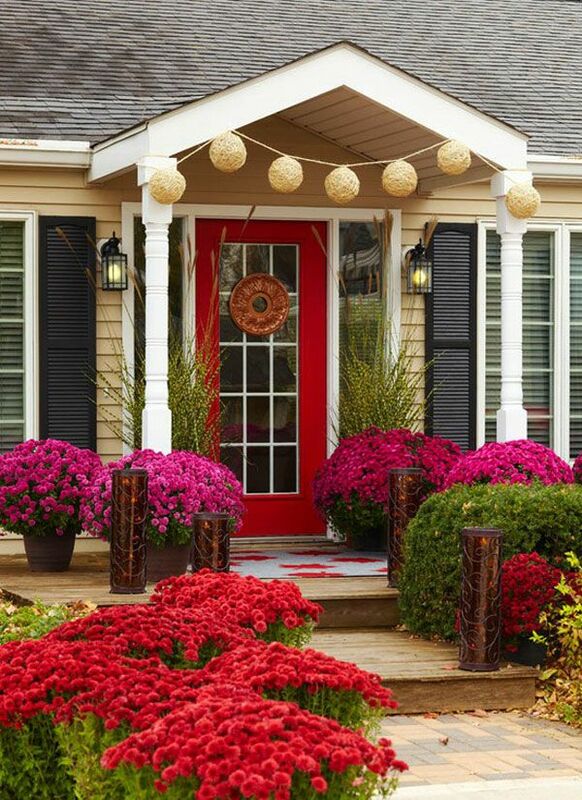 If you look for some ideas what to use in decorating your front door, flowers can be a really good decision. 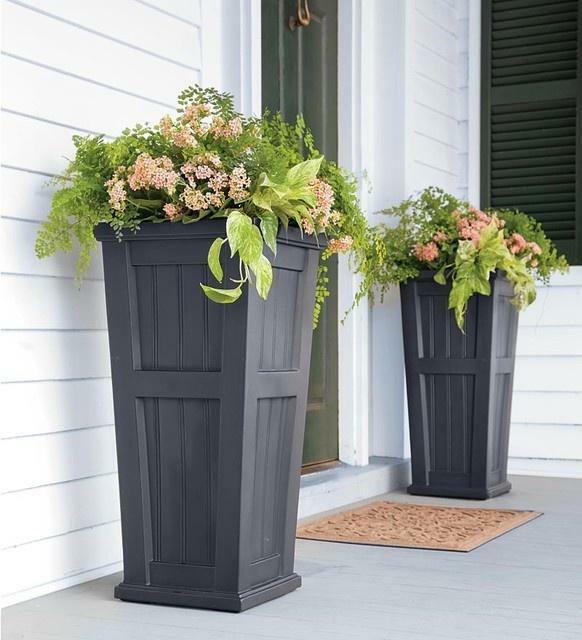 They are simple and not an expensive idea at all. 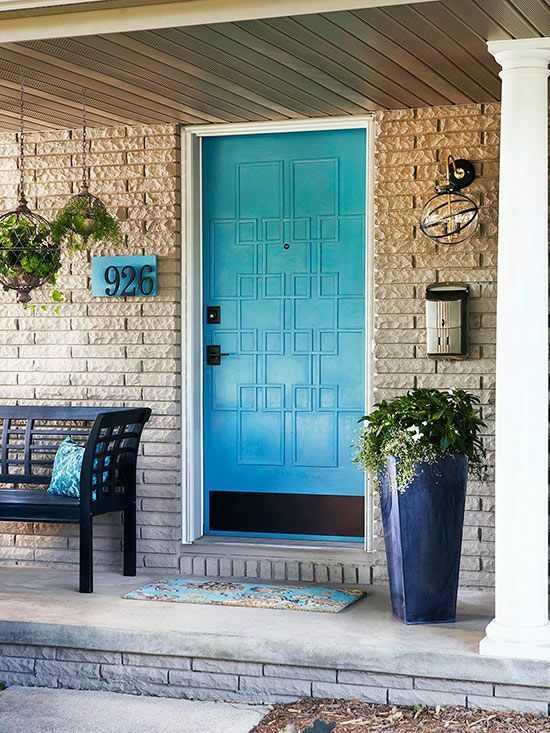 Furthermore they can liven up your front door like anything else and will fill with life and color this corner of the house, to which not many people think about when it comes for decorating the entire home. 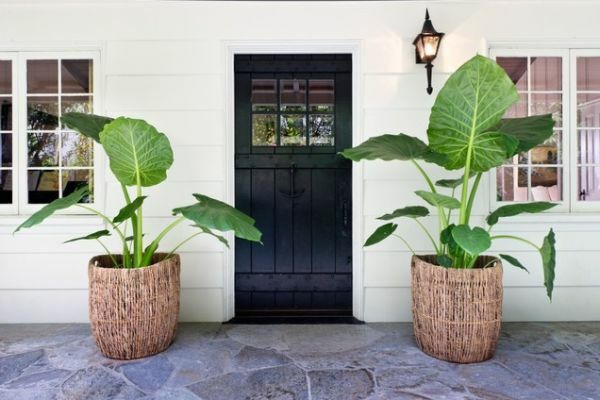 You have an option to place two bigger, or many smaller flower pots on either side of the door, or even to make a beautiful vertical garden and placed it right next to the door. 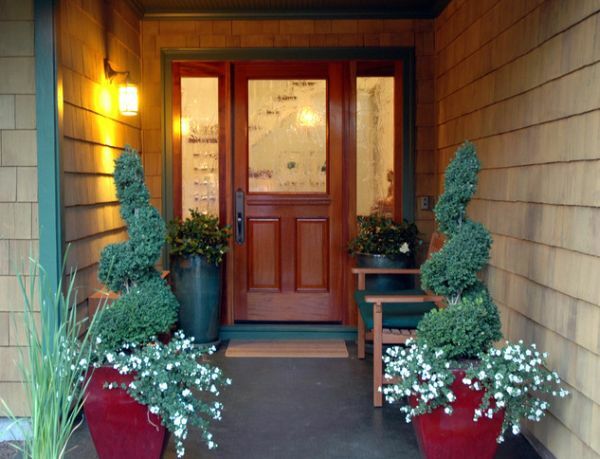 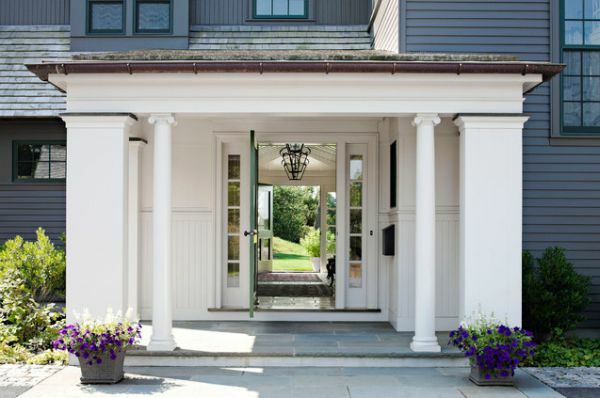 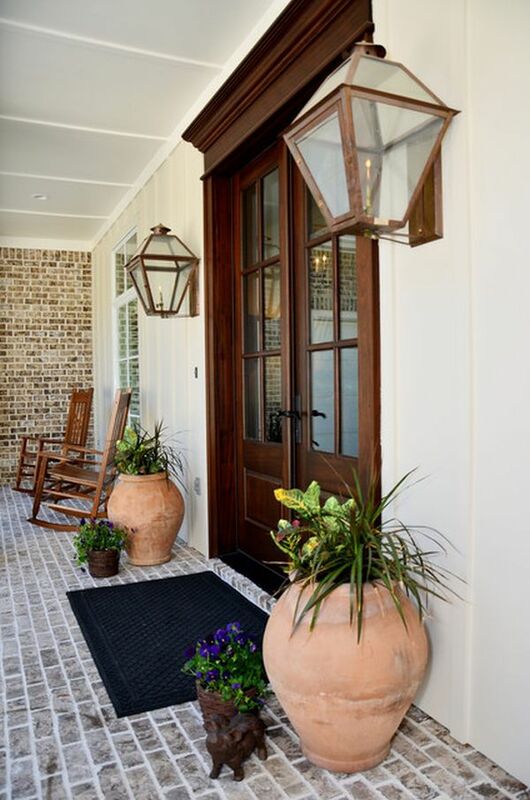 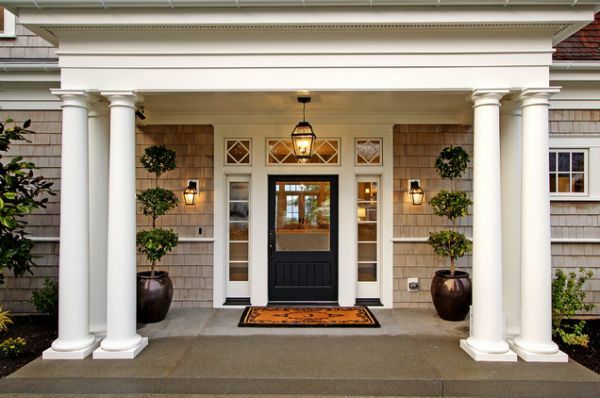 Framing your front door with planters is a welcoming gesture that will win the attention and admiration from visitors and neighbors. 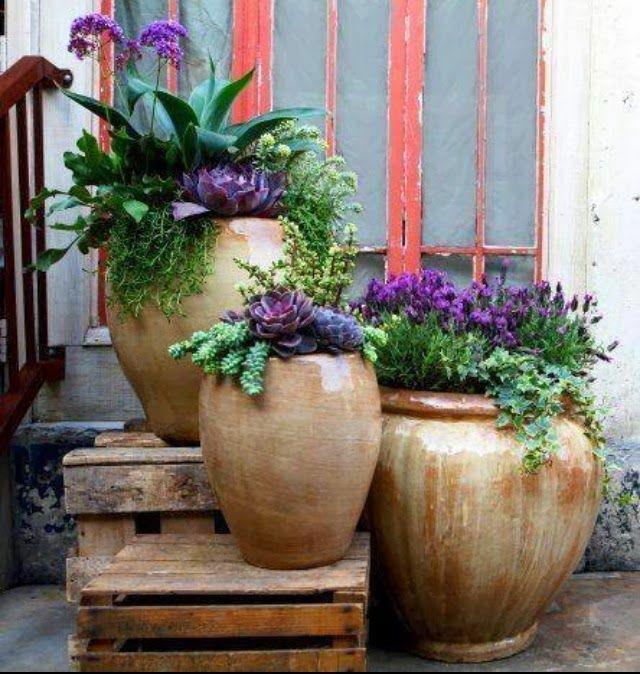 Choose some beautiful planters or DIY some from some old things you have at home and show you creative side among the other and fill them with a long lasting bay or seasonal mixture of luscious greenery and flowers. 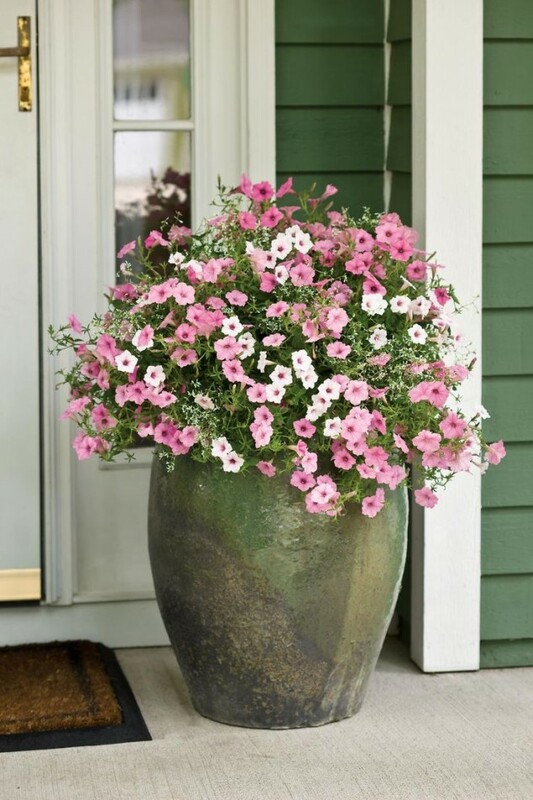 In addition to being able to mix and match all sorts of flowers, colors and textures when decorating the pots, there are also numerous ways in which the flower pots themselves can be the center of attention. 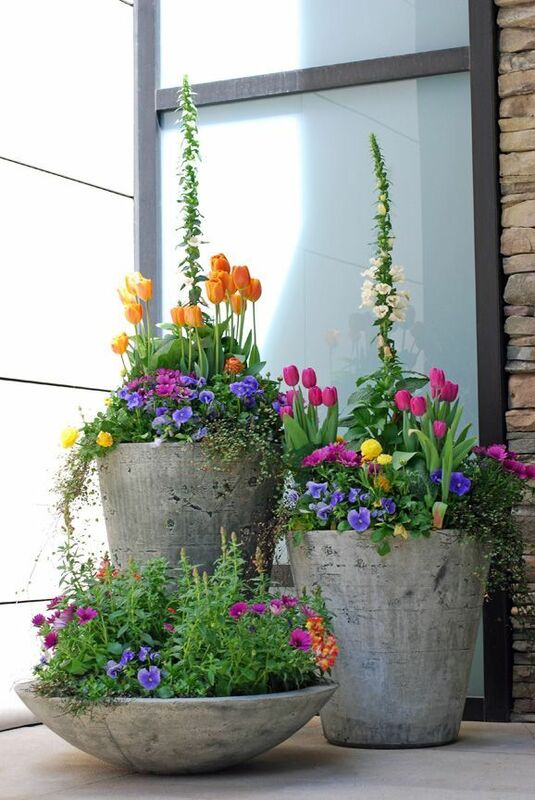 It can be because of their size, odd shape, color or the way they’re arranged and displayed. 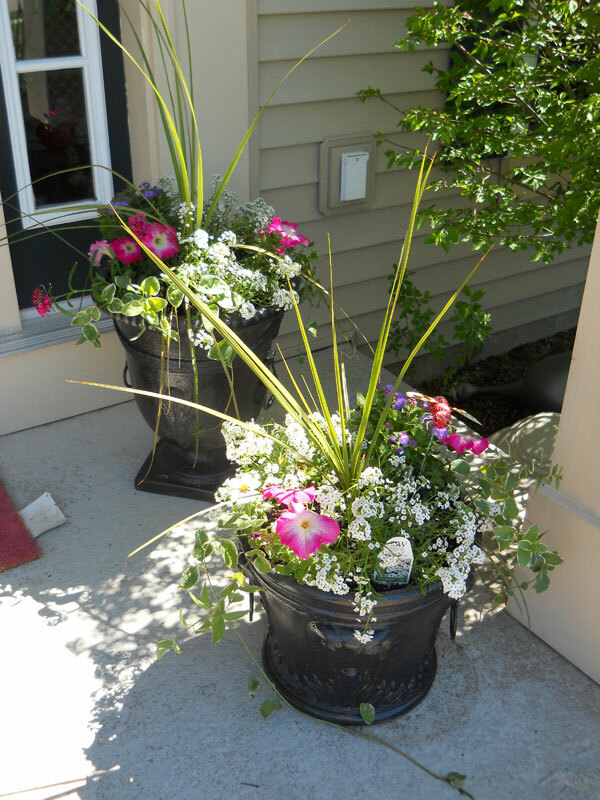 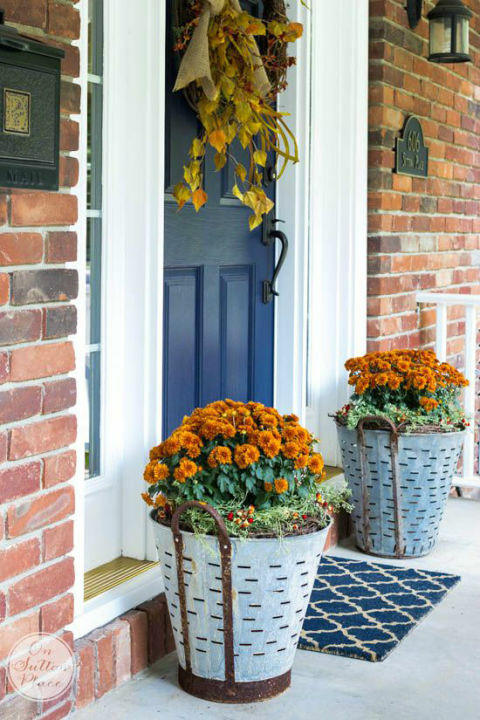 To customize the entrance or any other space, it’s also possible to actually make your own flower pots.